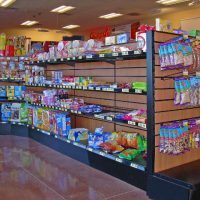 SHOPCO’s all metal Gondola Shelving comes in a variety of lengths, depths and heights to meet all of your retail merchandising needs. 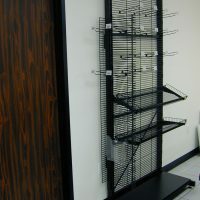 This shelving system is stocked in white, beige, and black. 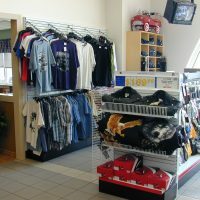 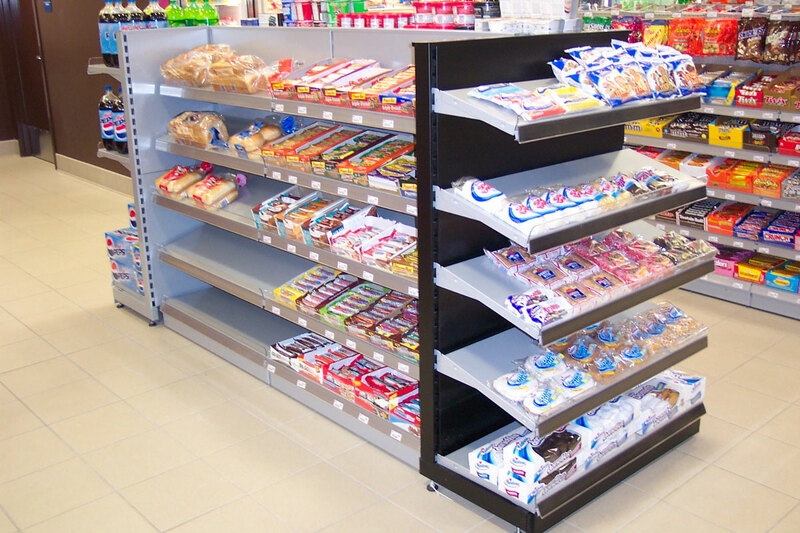 SHOPCO Gondola Shelving can also be powder-coated to custom colors for various design requirements. 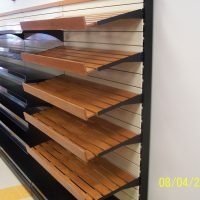 Click Here to view custom color options for Euro Gondola Shelving. 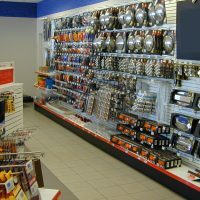 Choose from all metal back panels either smooth, metal pegboard, metal slat wall and heavy duty metal mini-slat wall panels. 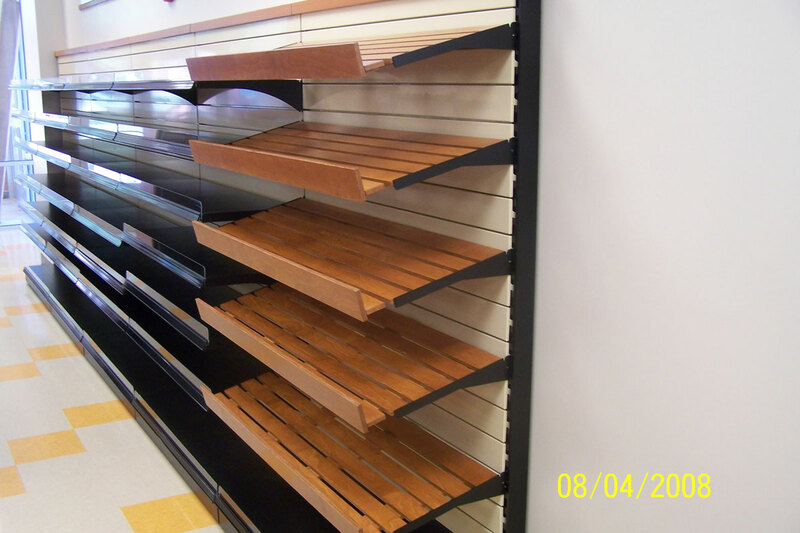 Traditional and curved gondolas available in stock and ready to ship! 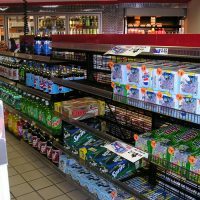 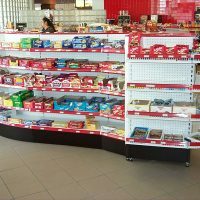 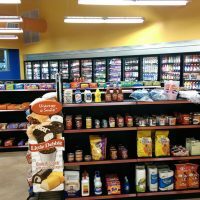 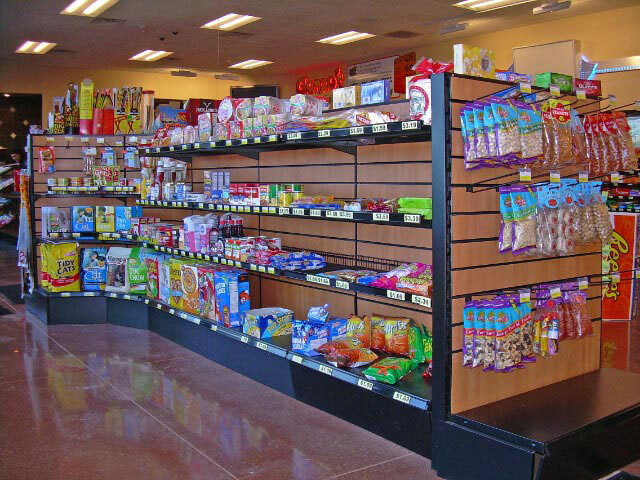 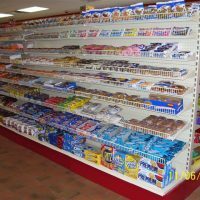 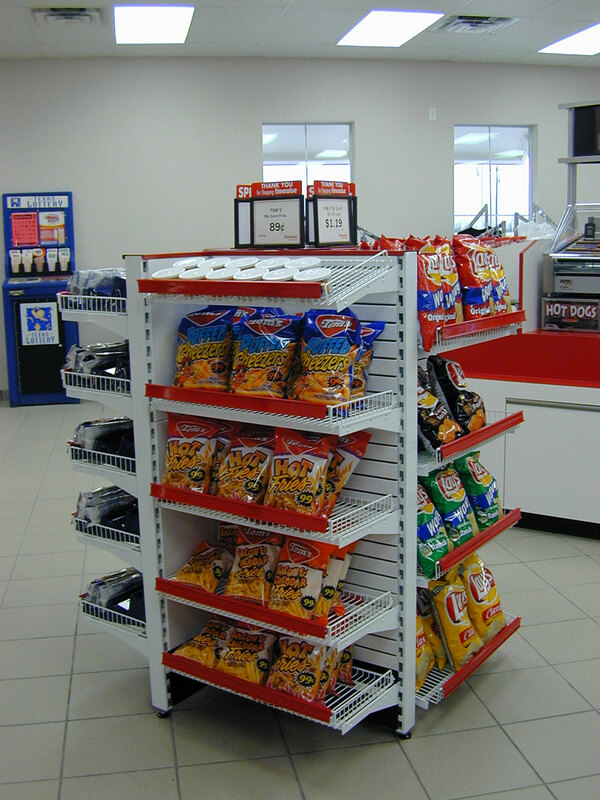 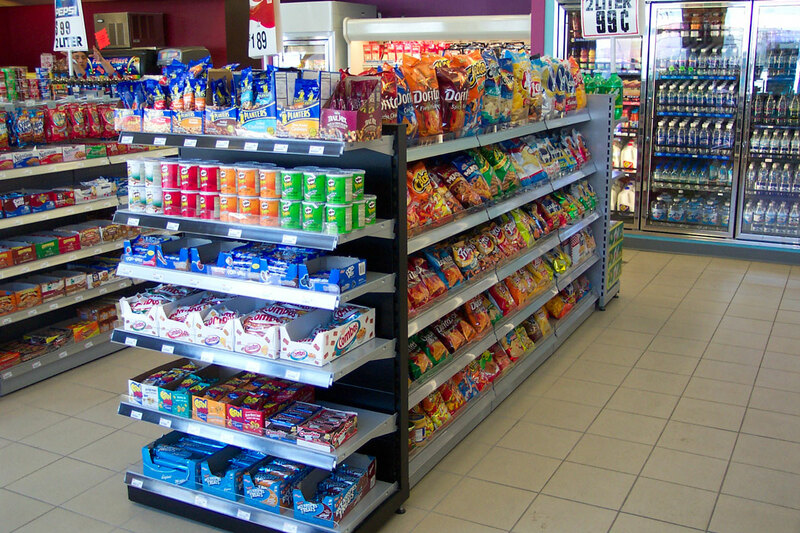 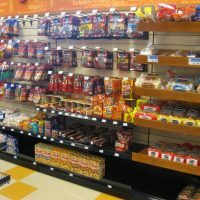 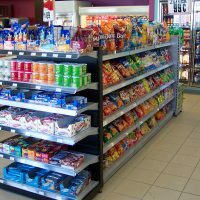 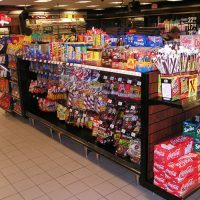 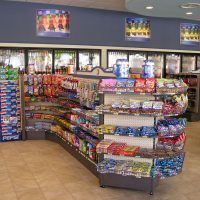 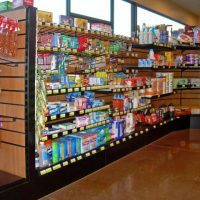 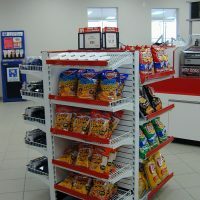 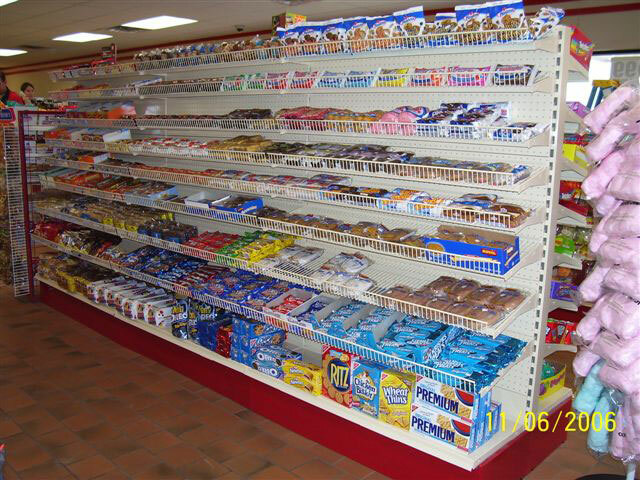 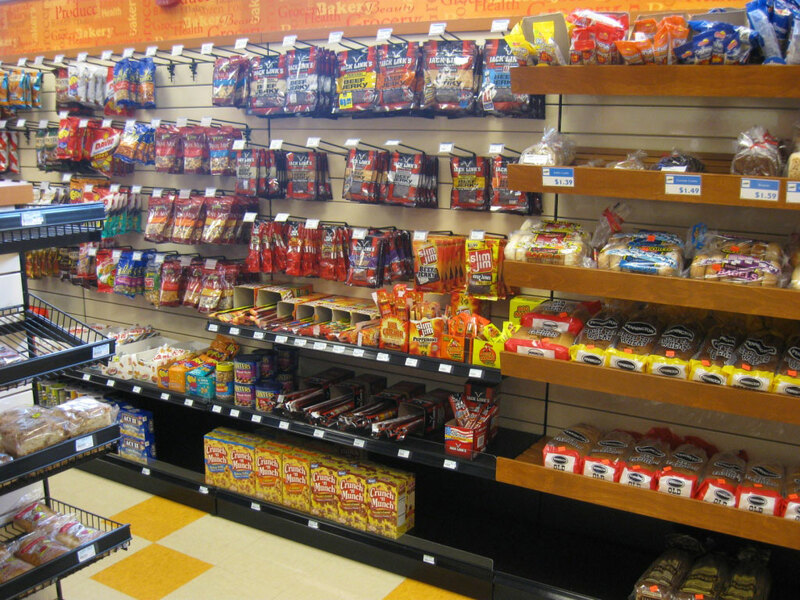 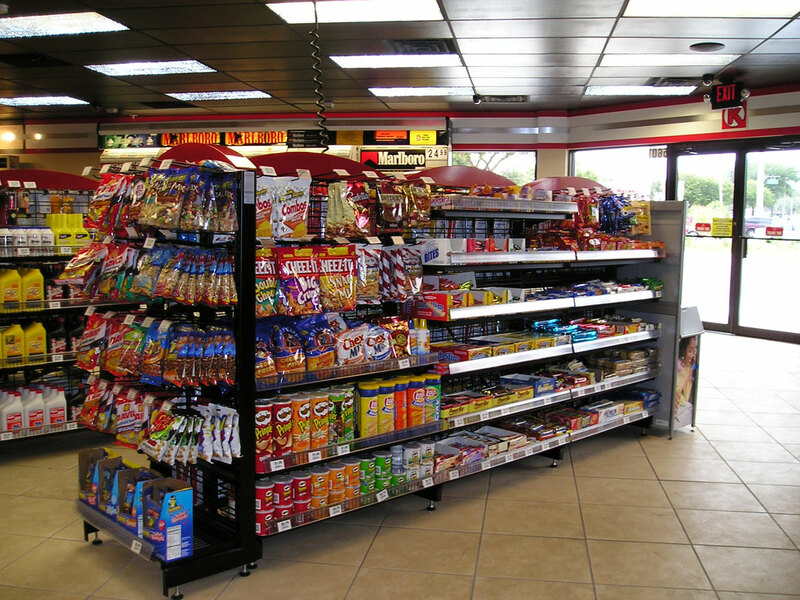 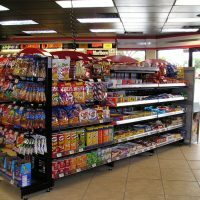 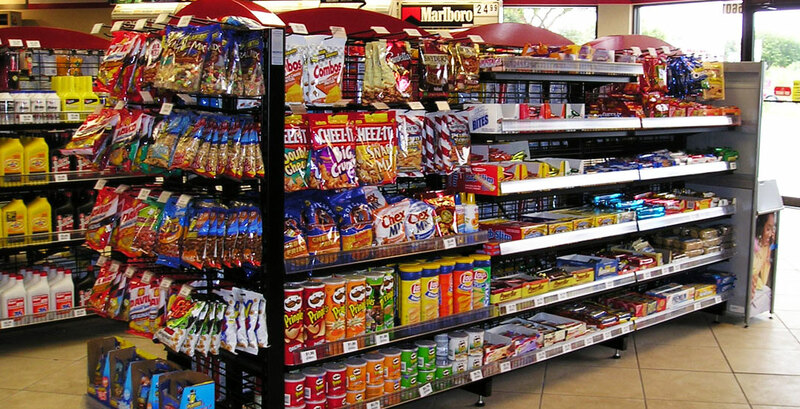 Our unique gondola shelving system is used in a variety of retail applications including convenience stores, supermarkets, and grocery stores. 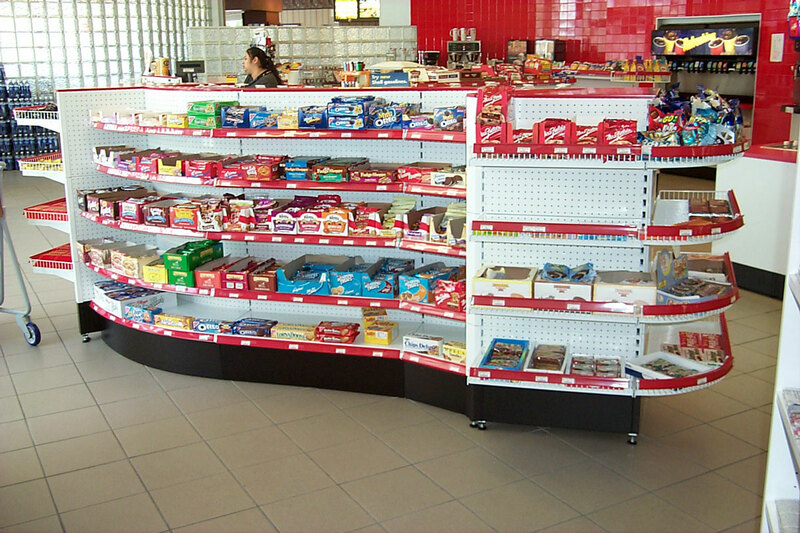 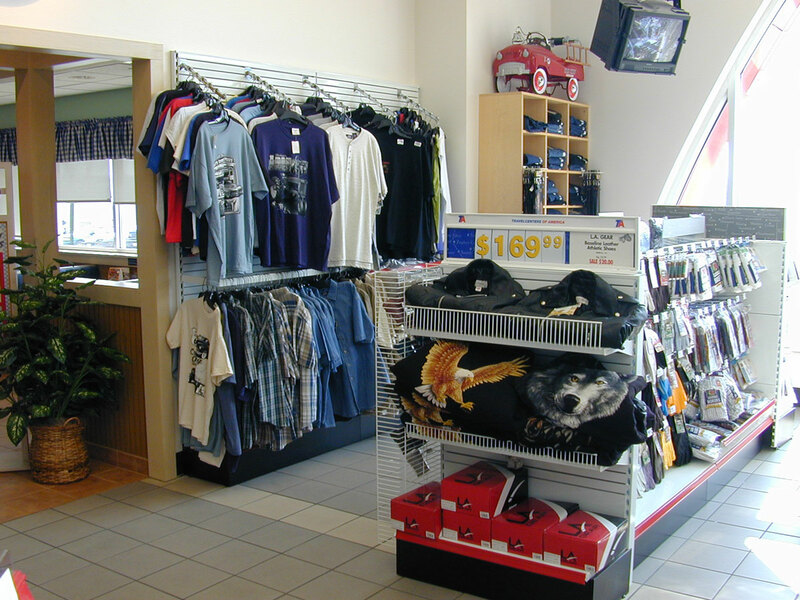 SHOPCO gondolas are adaptable to almost any type of store due to its modular design. 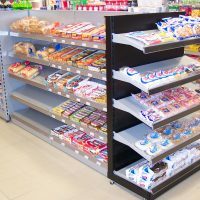 SHOPCO Gondola Shelving can help insure that your store is uniform and distinguishable by giving store owners the ability to brand their merchandising systems. 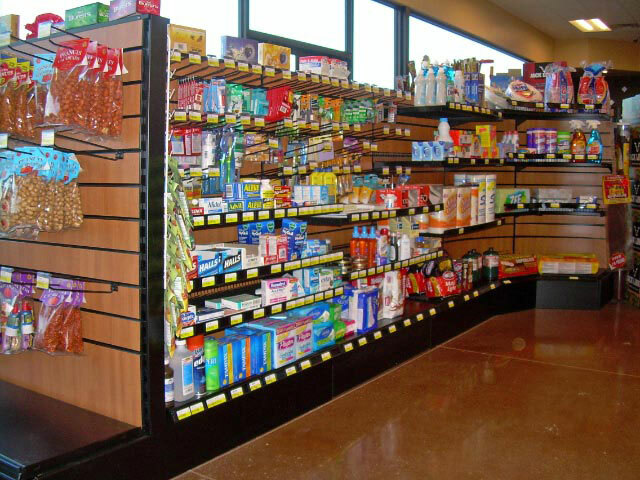 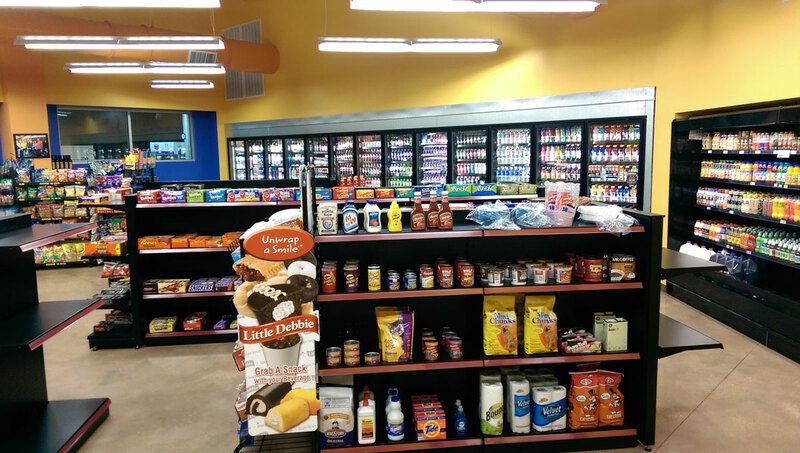 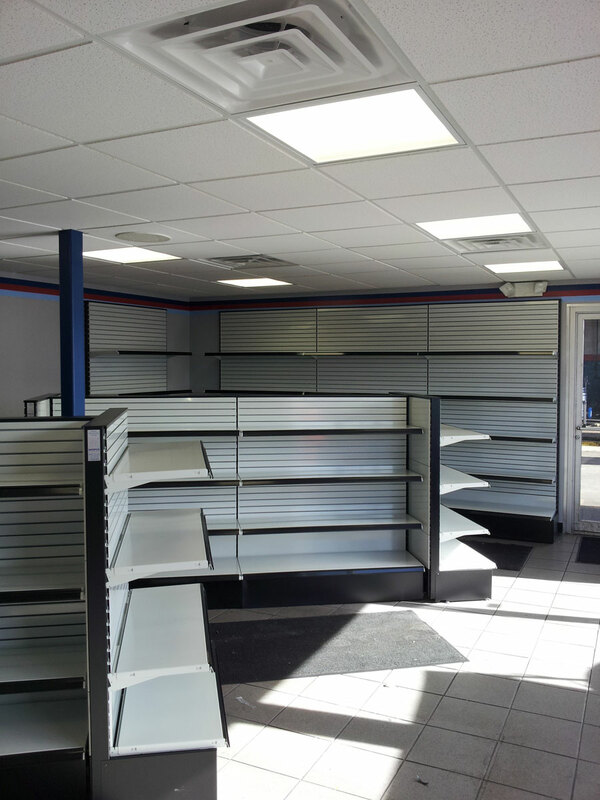 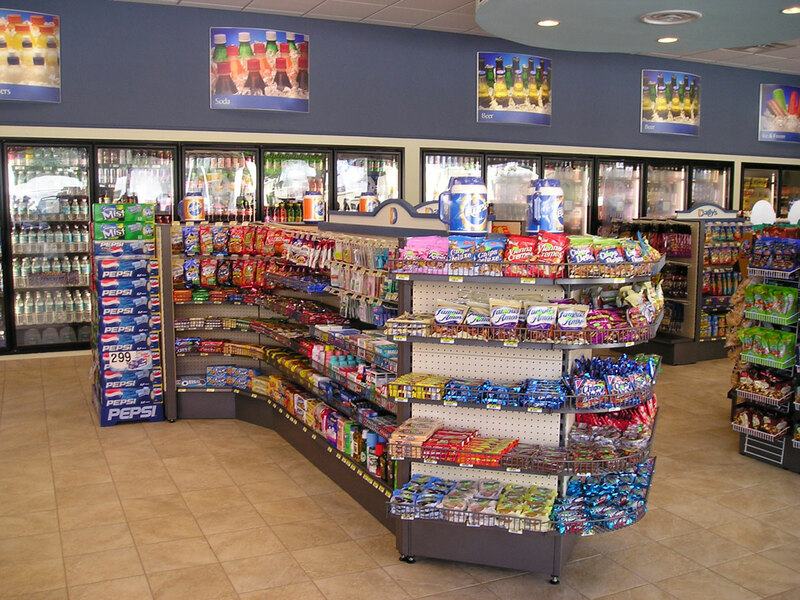 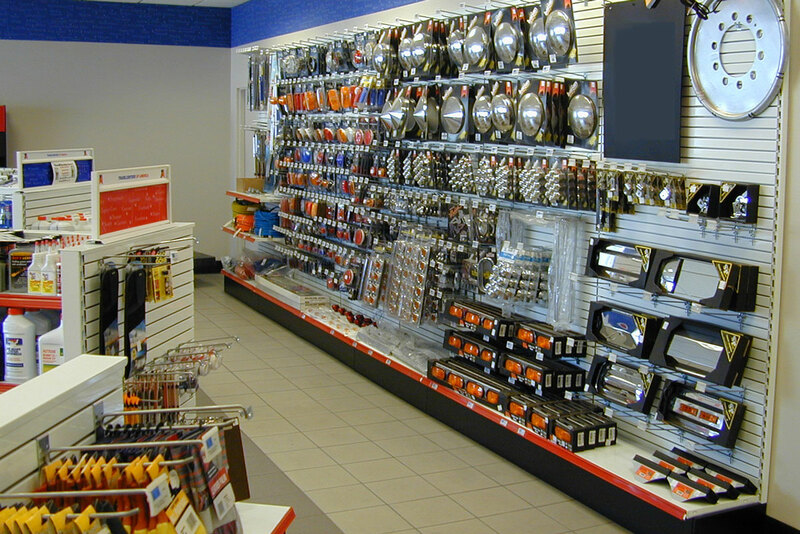 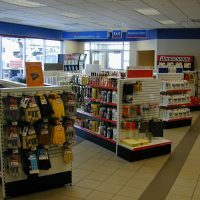 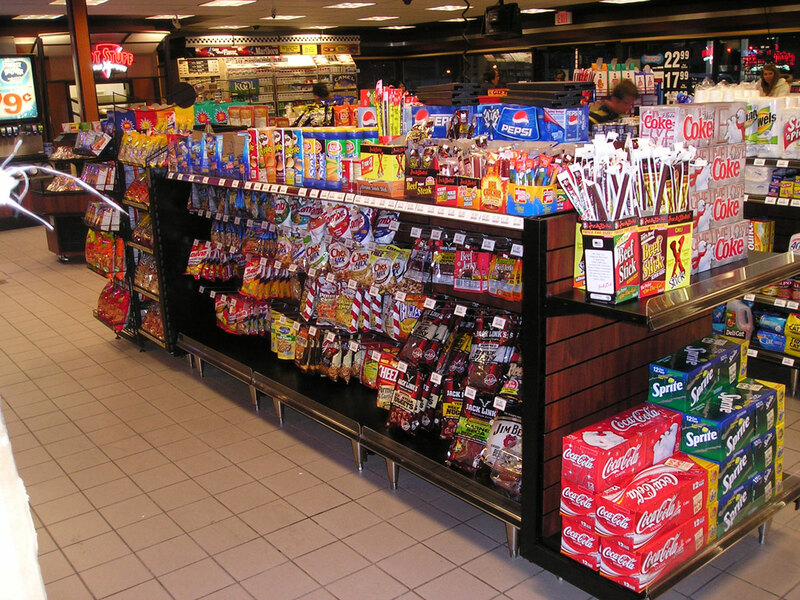 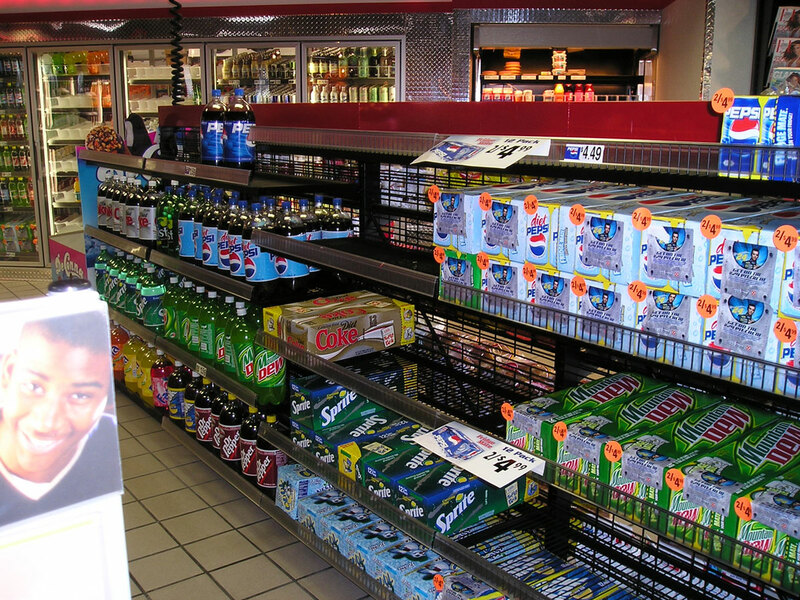 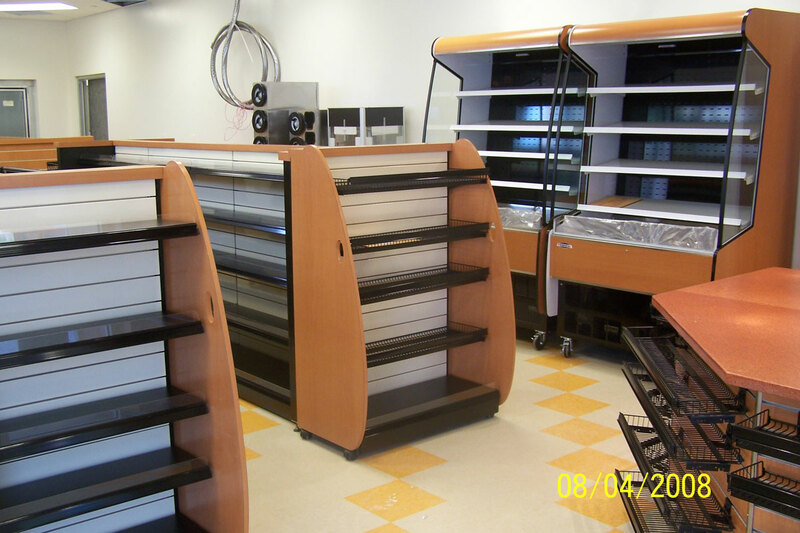 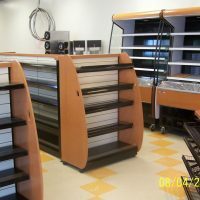 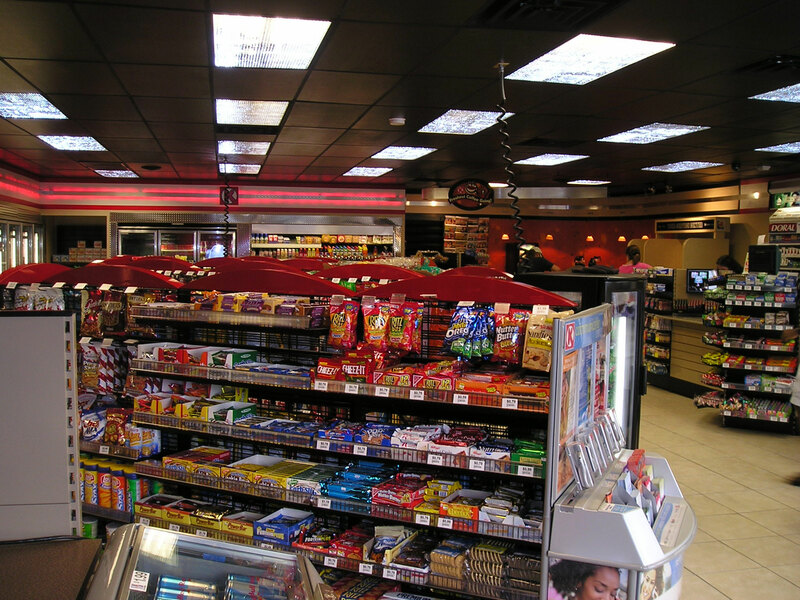 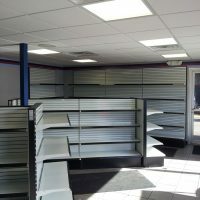 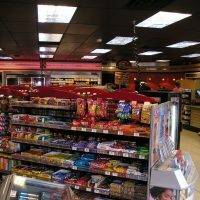 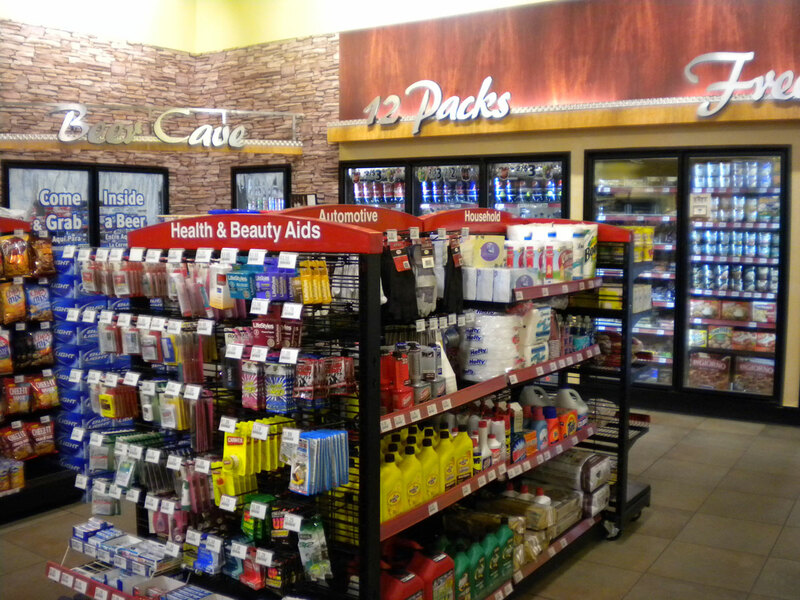 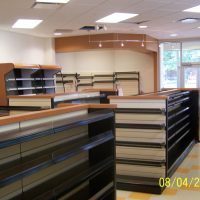 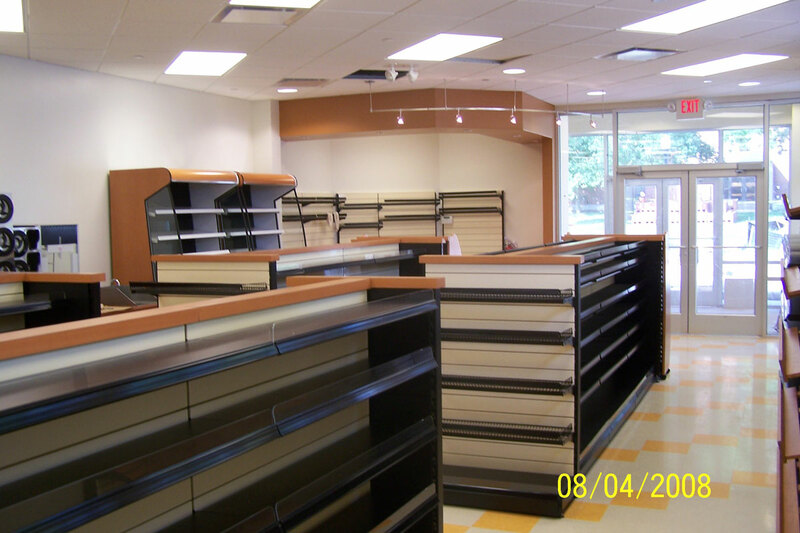 If your convenience store, supermarket, or grocery store just needs a remodel, SHOPCO is here to help! 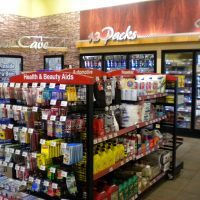 We can assist you with your store layout and design with our CAD services or with our vast network of certified installers. 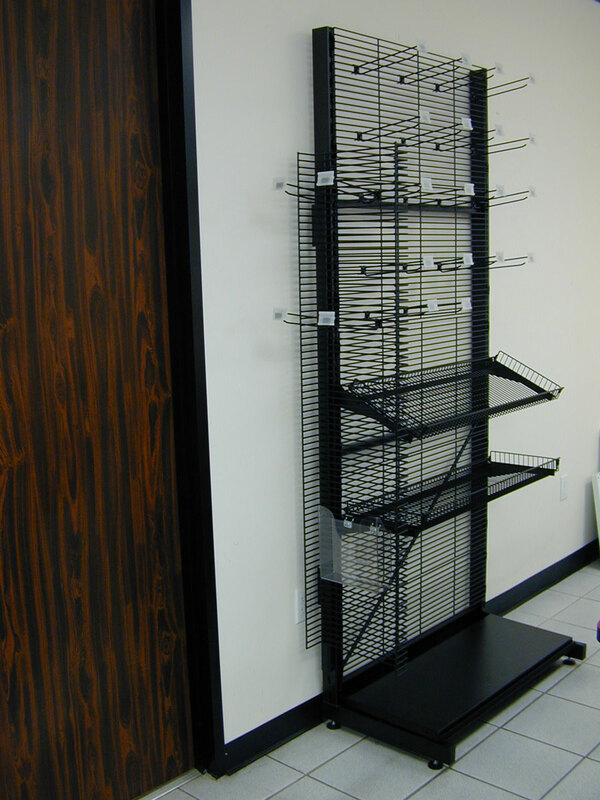 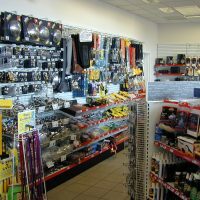 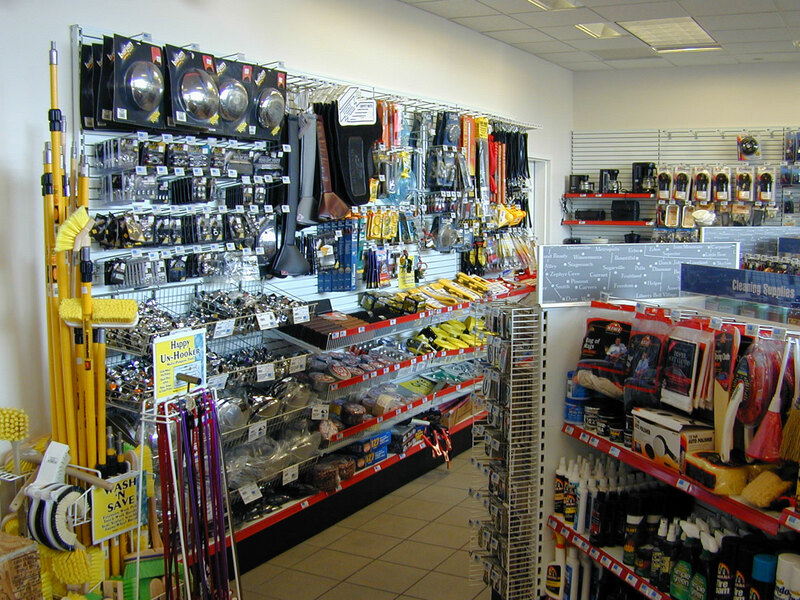 If your gondola shelving just needs to be spruced up, we carry a variety of replacement parts, including peg hooks, shelves, back panels, front fences and more, in stock and ready to ship. 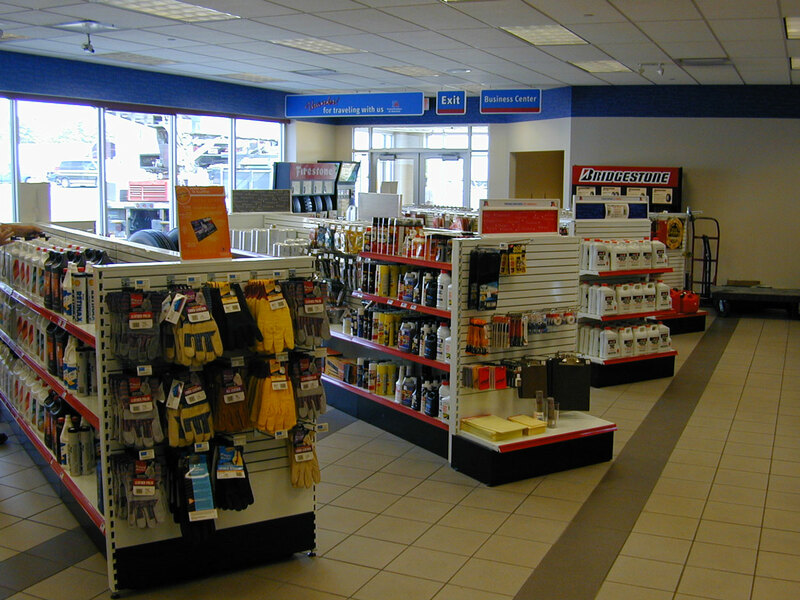 or click the button to request a quote online.